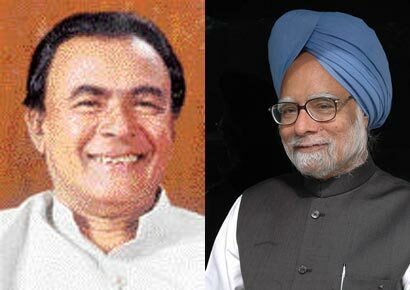 The Prime Minister of India Dr Manmohan Singh has conveyed his greetings and good wishes to his Sri Lankan counterpart Mr. D.M. Jayaratne on his appointment as the Prime Minister of the Democratic Socialist Republic of Sri Lanka. In his message Indian PM expresses confidence that the traditional close relations between two countries would continue to gain strength in the days to come. He conveys best wishes for Sri Lankan PM and the onward progress and prosperity of Sri Lankan people as well. The text of the message dated 22 April 2010 from the Prime Minister of India to newly appointed Sri Lankan Premier Mr. D.M. Jayaratne released by the Public Relations and Media Division of the Indian High Commission in Colombo as follows. It gives me great pleasure to convey to you, on behalf of the people and the Government of India, our greetings and good wishes on your appointment as the Prime Minister of the Democratic Socialist Republic of Sri Lanka. India and Sri Lanka enjoy a close, friendly and multifaceted relationship. Our two countries are now poised for grater engagement in a number of areas. We greatly value your personal contribution to the strengthening of our relations and I look forward to working with you to further develop these relations for the benefit of the people of both our countries.